Absolutely brand new to Tabletop RPGs? Seen some Twitch streams of people playing D&D and want to join in on the fun? This video series will walk you through everything you need to know to hit the road running and join(or create) your very first RPG experience. 1 What Is A Tabletop RPG? 2 How Do You Play A Tabletop RPG? 3 What Sort Of Games Are There To Play? 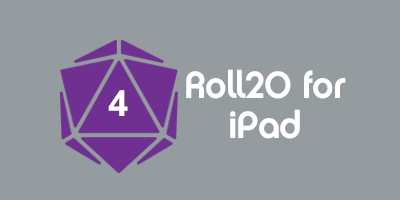 5 What Should I Know About Roll20? What Is A Tabletop RPG? RPG stands for Role Playing Game. You’ve probably encountered this game genre before in the computer and video game market. That being said, a Tabletop RPG allows a gaming group much more creative freedom in where they go, who they meet and what they want to do. The barebones essence of a Tabletop RPG is collaborative storytelling. It’s a story co-authored by everyone sitting at the table while playing the game. You and your friends fit themselves into the shoes of a character in the story. The decisions made and the plot twists that occur reflect the characters everyone is pretending to be.There’s no invisible walls to block exploration, no limits to what your character looks like and there’s no programmed restrictions on your character's behavior. The setting of the game can be familiar, like a favorite TV show, or something entirely alien and new. The only limitations are the rules of the game and the collective creativity of the people playing it. How Do You Play A Tabletop RPG? What Sort Of Games Are There To Play? Picking an RPG genre might not be that obvious a step for a newcomer to roleplaying. Dungeons and Dragons is the prolific title that started the hobby, but you’re not limited to just sword and sorcery fantasy. There are hundreds of RPGs in circulation nowadays and cover many different genres. There are games that cater to scifi, cyberpunk, gaslamp, horror, urban fantasy, historical and modern settings. Not to mention that there are many different rule systems for classic fantasy beyond Dungeons and Dragons. There are also published games for fans of movie, book and TV franchises such as Star Wars, Call of Cthulhu, The Dresden Files, Firefly, Game of Thrones and Dragon Age. Even if your favorite fandom isn't already represented, you can use genre-agnostic rule systems such as GURPS, FATE, Simple System, the d6 or d20 Systems to play in whatever setting you’d prefer. A tabletop RPG is simply a list of rules that nails down who wins a contest of brain or brawn. Every rule system out there has vastly different ways to go about this, and for a newcomer, it might take some playing around to figure out which system really speaks best to your playstyle. A Rules Heavy RPG is a system where part of the roleplaying component is tied to how you build your player character. There are in-depth rules for each class type and a plethora of different abilities that a player could choose from as their character evolves over the course of a campaign. This synergy of combining strategy and skills is what separates this system type from the other two RPG types. It’s similar to the thought process one needs to build a deck for Magic the Gathering or developing strategies against other Champions in League of Legends. Rules Heavy RPG systems often can’t cover the breadth of the entire rule system in a single book. In these cases there’s a Core Rulebook or Players Handbook. Then there can be a separate books for Game Mastering as well as multiple bestiaries, equipment, additional classes and abilities, spells, adventure campaign and world lore books. Some examples of Rules Heavy systems are any edition of Dungeons & Dragons, Pathfinder, the various editions of the Star Wars RPG, any game running under the d20 or d6 systems, Shadowrun, and GURPS. You’ll very rarely have a situation where a player might be unsure of how to proceed with their character. Their sheet will indicate all the actions that they are able to perform as well as display their strengths and weaknesses plainly. Creating combinations of abilities for your character is a game in itself. It can be very engaging for players who love developing tactics. Adding and selecting from a large list of skills and incorporating them into a character sheet can help with improvising who the PC is and how they roleplay. Every action will typically have a rule or mechanic listed for it. Conflict resolution can be resolved by flipping through the rulebook as needed. Many of these games use battle maps, so figuring out where and how your PC positions themselves in combat adds another degree of tactics to the game. This also can add to immersion since a player can get a better sense of what’s in a given room if you can actually see the location and move about within it. Depending on how comprehensive a heavy system is, you might be setting yourself back quite a bit of money to gather up all the rule books required. These books are typically much more expensive than their lighter counterparts simply due to their page count differences. The player might be able to get by with just buying a player’s handbook or core rulebook, but the GM often needs to buy multiple books to be able to perform their job adequately. Lots of dice rolling are normally involved. For players who prefer less structure, there are rules light RPGs. These games have slimmed down rules systems. The character building blocks found in rules-heavy system aren’t normally present in these games, so that game component is mostly absent. The rules that remain behind are there to make quick and dirty work of defining who has control of the narrative. Combat conflicts often runs very fast in comparison to the rules heavy systems. Mainly this is due for many games to have a lesser emphasis on tactical positioning in battle. Character sheets are REALLY minimalist if you compare them to those from heavier systems. Some examples of Rules Light systems are Savage Worlds, Dungeon World, FATE, RISUS, Apocalypse World and Simple System. Typically rules light systems are fairly inexpensive since there’s typically only a single rulebook to buy and it often covers both the player and GM roles. If there are other books available, commonly they're completely optional purchases that offer location lore or design a complete remix of the existing RPG system. Rule Light systems should allow a player or GM to run what they want with a greater deal of freedom in regard to their actions. Instead of relying on the rulebook for every action, a conflict is often bartered between the GM, the player and the blanket rule system the light system uses. Prep time for the GM is very brief. NPC creation takes next to no time to create. It’s even shorter if you have a game system that doesn't require a battle map. Many of these games don't rely on visuals. Often times there's no battlemap, or if they do, positioning is less of a focus in combat. Character evolution can be very minimal. And it can take very little time at all for a player to complete their character sheet. The GM may have to spend more energy ensuring that some players don't steal the show over more pragmatic players. Typically a roleplaying session of any system type runs three to four hours of gameplay. One-Shot games are categorized by time length. They only last a single session. Some rules-light games designed specifically to be played in a single campaign are Fiasco, In A Wicked Age, A Quiet Year, RISUS and Call of Cthulhu. That being said, one-shots don't shut out light or heavy rulesets. You can play a one-shot using either rules heavy or rules light systems, though usually in this case, the players pick from pre-generated PC sheets. One-shot games are usually very inexpensive since you only need enough content to run a game for a single session. Very little prep is required for either the GM or the Players. They're designed to just pick up and play. Due to this reason, it’s typically a lot easier to fill a Looking For Group listing for a one shot. If you're playing a one-shot for a Heavy Rules system, it’s a great hands-on way to teach new players how to play the game before launching into a multi-session campaign. If you do go this route, most off-the-shelf adventures are designed for very low level PCs and often come with pre-gen PCs ready to go. A one-shot can also serve as a means to break the ice with a newly assembled gaming group when you don’t know the people behind the PCs yet. Some of the rules light systems designed specifically for one shots can play very quirky and typically try to squeeze out as much intense roleplaying as possible in allotted period of gameplay. Some of these games can require some serious improv skills. Looking For Group Tool: Updated hourly. Listings are searchable by rule system, time, frequency, language and whether a game is newbie friendly. Learn more from our Looking for Group wiki. Looking For Group Forum: Updated immediately. Both GMs and Players post threads here. If you would like to take the plunge into GMing a game, brush up how a campaign is created with our Roll20 Crash Course. There is also a Roll20 campaign community that is dedicated to learning and improving one's ability to Game Master - The GM Academy. It is open to everyone to join and the people there have a treasure trove of information for anyone who's interested in taking up the storyteller reins. What Should I Know About Roll20? Players are not able to scale their tokens, but they are able to move and rotate them. The Waypoint System in particular demonstrates how you can measure precise tactical maneuvers to figure out attacks of opportunity. We also recommend reading up on the Dice Reference wiki page. If you plan to RP without using voice or video chat, you'll be working entirely out of the chat panel. The Text Chat wiki page lists all the available text commands. This page was last modified on 3 December 2016, at 03:14. This page has been accessed 97,002 times.